"You bend reality to suit yourself." An official US trailer has arrived for one of Japanese filmmaker Kiyoshi Kurosawa's films from last year, titled Daguerrotype (properly spelled - Daguerreotype). The film first premiered at the 2016 Toronto Film Festival, and has been awaiting a US release ever since. It goes under a few different titles - The Woman in the Silver Plate, or in France it's Le secret de la chambre noire, which translates roughly to The Secret of the Dark Room. French actor Tahir Rahim stars as a young apprentice in Paris, back in the days of daguerreotypes. He falls for the photographer's daughter, but they learn there's some kind of malevolent forces stopping them from escaping. The full cast includes Olivier Gourmet, Constance Rousseau, Mathieu Amalric, Malik Zidi, Valérie Sibilia. This seems like a strange film. Jean (Tahar Rahim), a young Parisian with few skills and even fewer prospects, seems an unlikely candidate for assistant to famed photographer Stéphane (Olivier Gourmet), an obsessive perfectionist living in isolation since his wife’s unexpected death. Yet he soon finds himself in his new employer’s vast, decaying mansion, helping to create life-sized daguerrotypes so vivid they seem almost to contain some portion of their subjects’ souls. Their model is most often Stéphane’s daughter and muse, Marie (Constance Rousseau), and as she and Jean fall in love they realize they must hatch a plot to leave Stéphane’s haunted world forever. 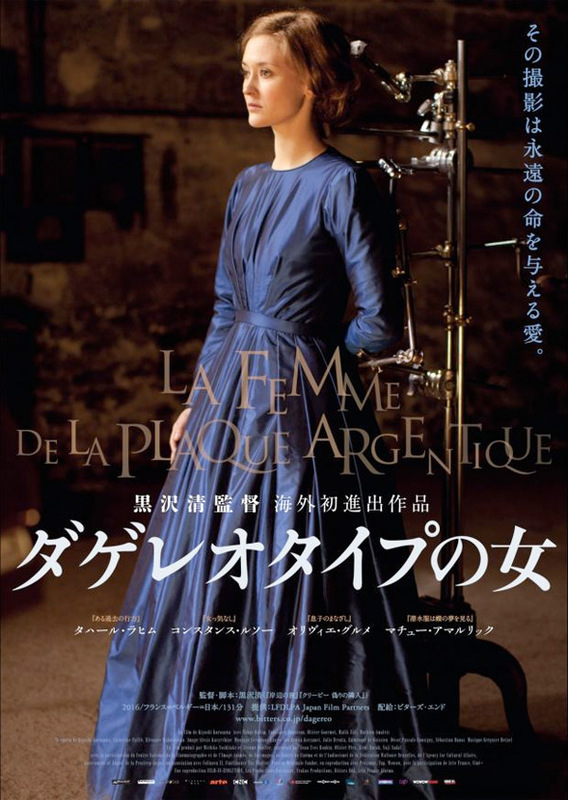 Daguerrotype is directed by acclaimed Japanese filmmaker Kiyoshi Kurosawa, of Sweet Home, Cure, Charisma, Pulse, Bright Future, Retribution, Tokyo Sonata, Real, Seventh Code, and Creepy previously, plus this year's Before We Vanish. The screenplay is written by Kiyoshi Kurosawa and Catherine Paillé. This first premiered at the Toronto Film Festival last year, and played at numerous other festivals including the Sitges, Tokyo, Palm Springs and Portland Film Festivals. Under The Milky Way US will release Kurosawa's Daguerrotype direct-to-VOD starting November 7th this fall. Anyone interested in this film?